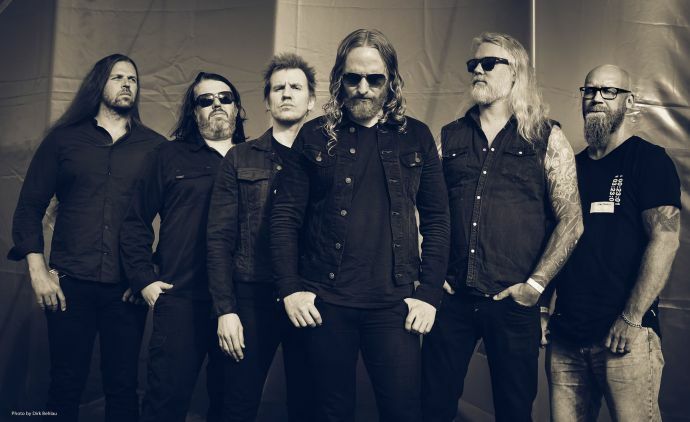 Hard to believe that DARK TRANQUILLITY, one of the originators of the so called ‘Gothenburg Sound’ that once marked the birth of the sub genre melodic death metal, are around for almost 30 years now. Over the course of 11 full-length albums, two of which (1999’s grand vision 'Projector' and 2007’s furious fan-favorite 'Fiction' were nominated for the Swedish Grammy Awards) and countless worldwide tours, the Swedes have persevered through thick and thin while proving over and over again just how much an extraorinary act they are. Today, the brand DARK TRANQUILLITY stands for a unique blend of aggression and pure dark beauty, of energetic riffs and enthralling harmonies, modern electronic elements and of course the outstanding voice of Mikael Stanne, ranging from rough furor to tender and clear and tender, yet always intense vocals. An impressively diverse act indeed - and therefore a perfect addition to our debut band line up!